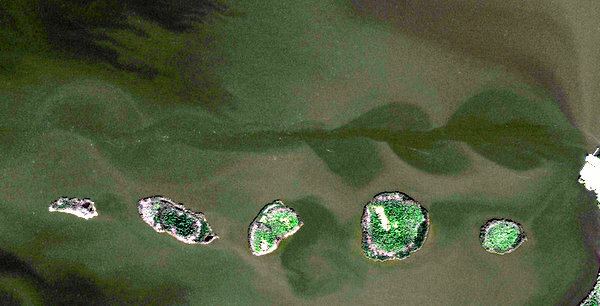 The Indian and Banana Rivers and the Mosquito Lagoon are under assault by algae blooms. You have the power to help the lagoon system. One day we were fishing the clear waters of the No Motor Zone in the North Banana River.....The very next day tannic colored water of a phytoplankton algae bloom migrated into the same area. An ecological disaster before our very eyes. 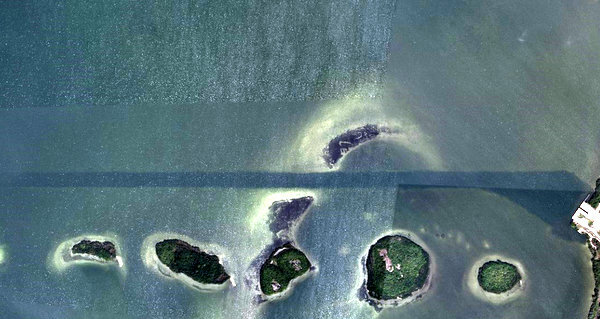 2009 aerial photo of the NMZ islands. 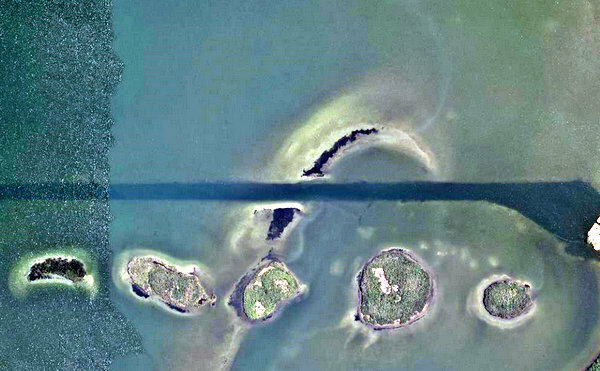 2015 Aerial photo of the North Banana River "No Motor Zone"
Both photos show the clear water & the deep channel where the Space Shuttle Solid Rocket Boosters were brought back from the Atlantic after launches. 2018 photo: Same aerial photo that shows the second phytoplankton bloom spreading around the islands of the NMZ. 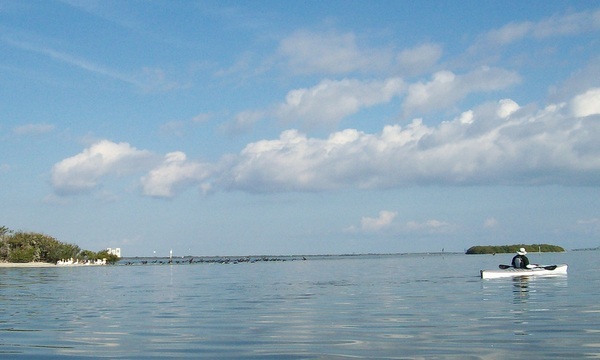 This area has the largest gathering of manatees on the east coast of Florida. Well it had the largest gathering of manatees. The Algae blooms have decimated the Banana River sea grasses- the bedrock of the Lagoon ecosystem and food for both manatees and turtles. Our world, our lagoon summed in one picture. I took this photograph on Kennedy Space Center. Spring droughts are part of the normal ecosystem and these fresh water gator holes are often small life rafts of water for fish waiting for the Florida summer rains. However, notice the green water? (of course you do) The green is an algae bloom caused by the alligator pooping in it's biosphere fishbowl. Basically he/her is over fertilizing her fishbowl and hence the pretty green. A similar green or brown that in the Indian River Lagoon blocks sunlight and killing sea grass and removing oxygen. There are rules in place not to place yard fertilizer during the Florida wet season. Not wait on others and hope the rivers clear. Not wait on the politicians to divert the funds to a project that gets them votes. What can you do to rescue the Lagoon now? "What can I do? Right now to save my lagoon?" Right now, you can take the pledge to stop applying fertilizer to your yard. That same emerald green of your yard is killing the lagoon. 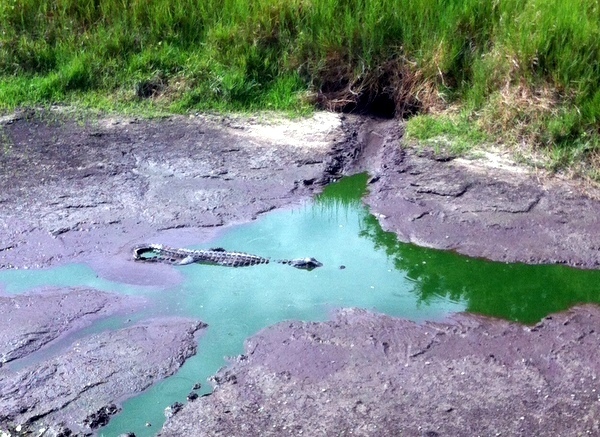 -That same pretty green as in the alligator wallow photo. All the lagoon restoration projects are a fantastic effort. However too many people live along the shores, street and canals that all flow into some river ecosystem. Talk to your homeowners association about fertilizer use. Talk to your neighbors, Do a science project with your children. The choice is simple, stark and sad. A Live Indian River lagoon and average grass or a Dead lagoon and really pretty "Wow" grass. And it is sad, because most will chose their 30' X 30' patch of emerald green grass- their little green empire over the life of the nations most diverse estuary. And that is where the real David and Goliath battle will shape up. A battle for greater restrictions on the use of fertilizer. Because after the billions are spent on good projects, the algae blooms of death will continue until there is a near ban on these environmental poisons. An uphill battle against home owner associations, against land owners who fall for the propaganda of a green yard, against the big box stores that sell the poisons, and the politicians who are funded by the corporate interests. Impossible fight? Odds are 2% out of a hundred for success. Note I did not say 98% chance of failure. There is simply no choice anymore. It is all out war or a big dead lagoon. 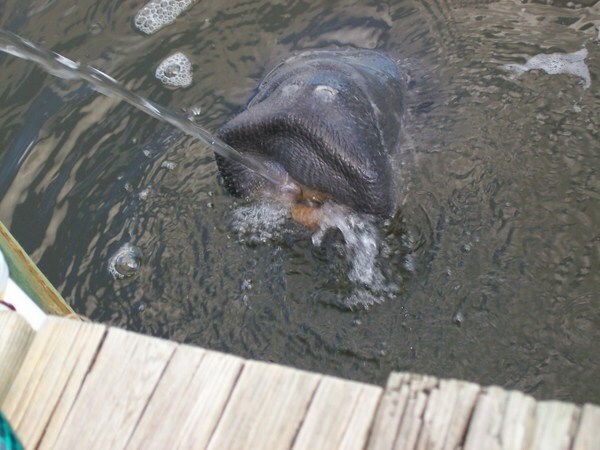 The fish kills in the 1980s and 90's on the St, Johns River were horrendous. 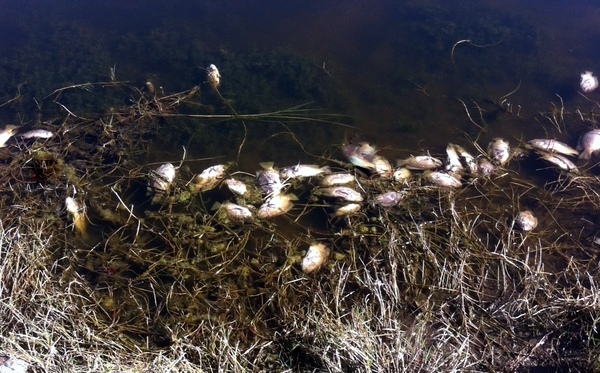 The fish kills were the result of algae blooms from the combination of rain and cattle manure. 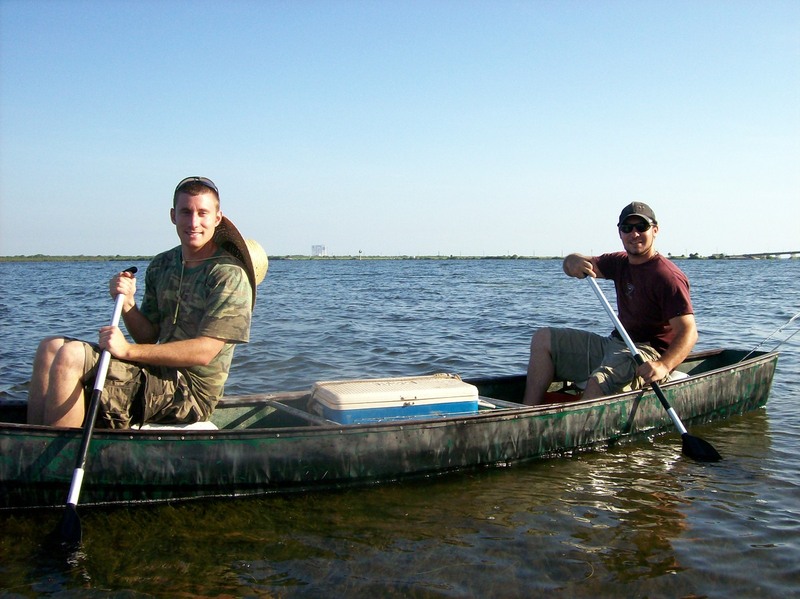 The fish kills did not cease until the State of Florida and counties along the river purchased the cattle lands and removed the source of the nitrogen for algae blooms by removing the cattle herds. Another example of hard won success: my families fight against the EPA, DNR and a giant oil company when a pipe line leaked into a stream in eastern Missouri- A ten year brutal contest to clean the O'Day Creek. Let's get to it. The algae blooms are not going any where soon. However it would be a good thing if our grandchildren could once again look out over clear waters of the IRL. Acknowledge we all are caretakers of our environment. Marine Resources Council (Save the Indian River Lagoon) These folks are organized! Excellent article at Surfrider.org, about the causes of the recent algae blooms. Urging everyone to contact their local politician. However the urge should be to contact your representative to ban fertilizer yard poisons.